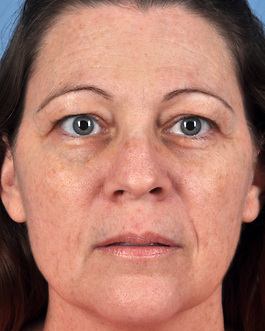 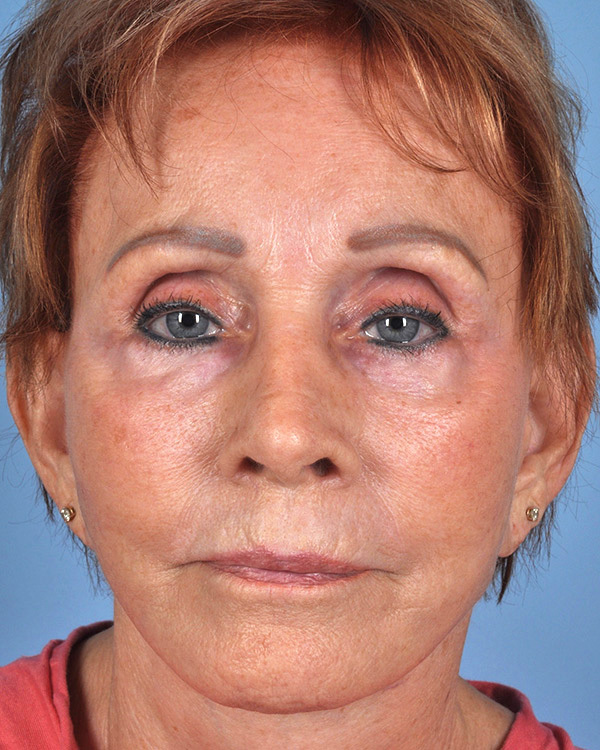 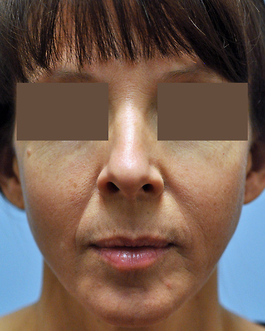 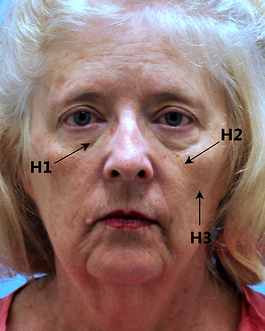 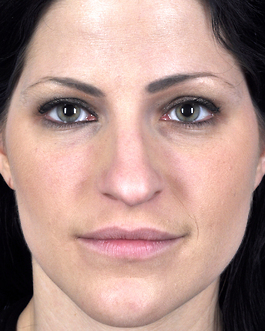 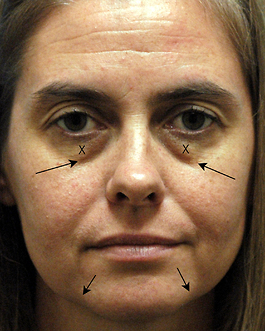 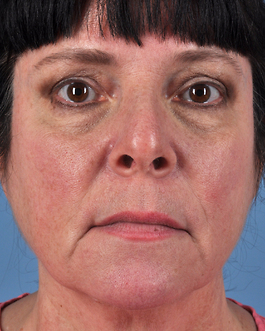 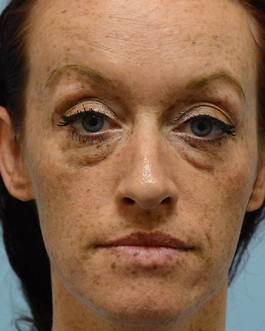 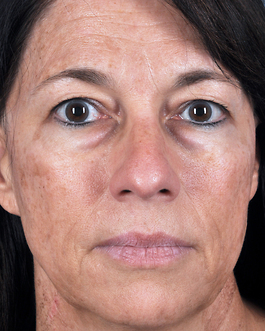 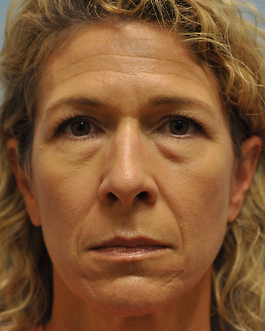 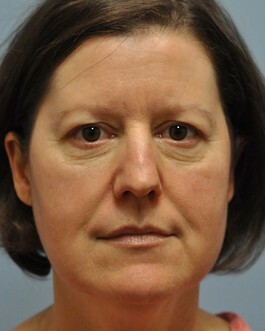 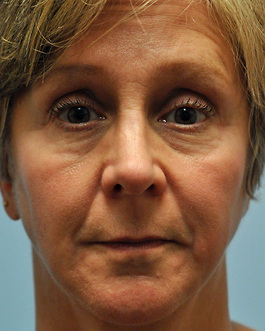 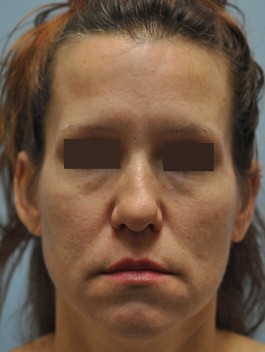 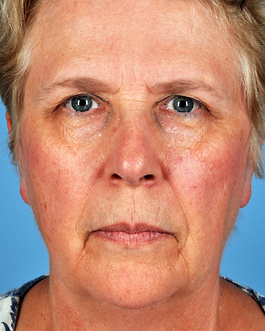 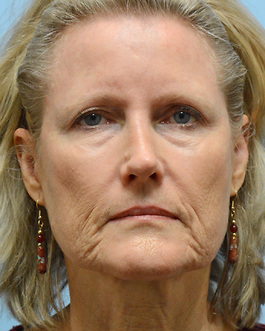 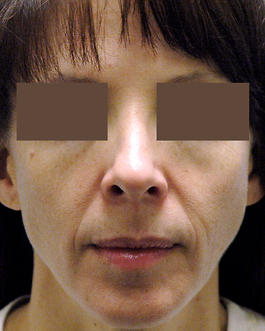 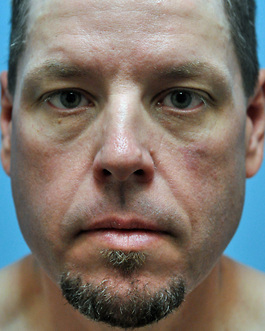 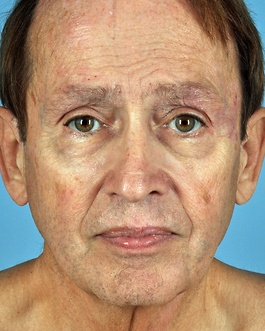 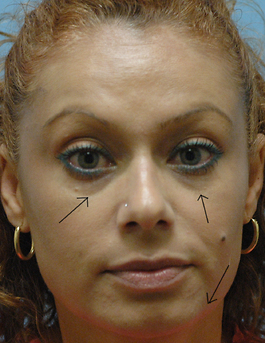 This patient from Virginia Beach was 46 years old when she came to consult with me, greatly bothered by the hollow beneath her eyes and in her cheeks. 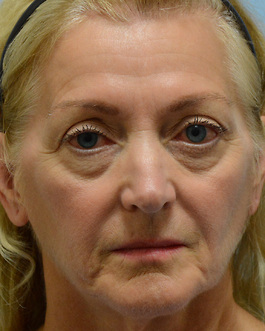 Although she has had this hollowing from an early age, she feels that it makes her look older. 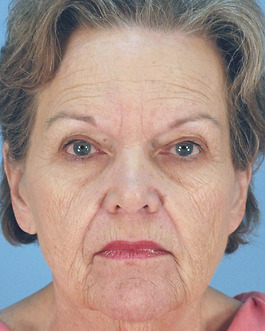 Her own fat was harvested from another part of her body and then injected into these areas using a very fine cannula. 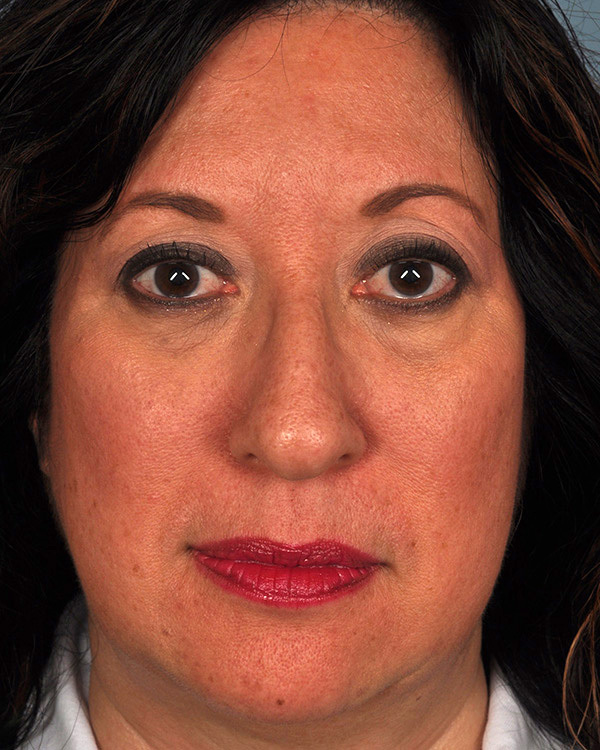 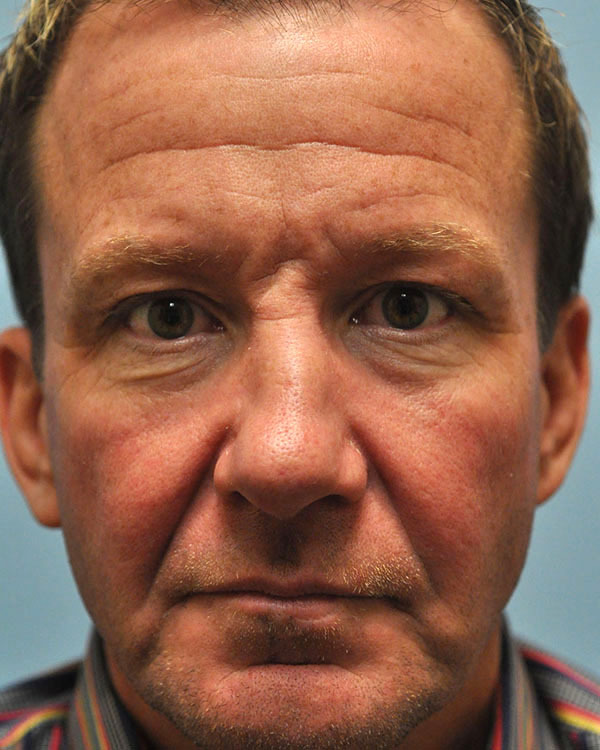 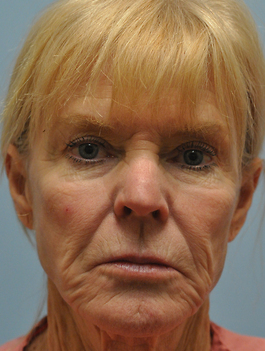 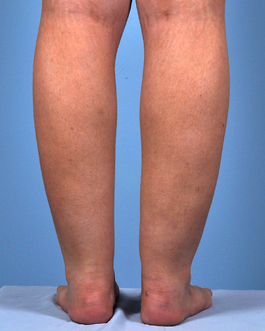 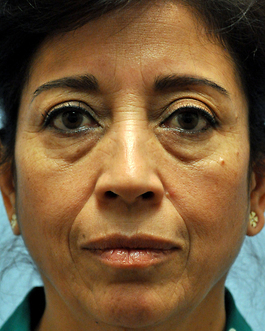 The "After" photo shown was taken almost 5 years following her procedure at age 50, illustrating the longevity of fat grafting results. 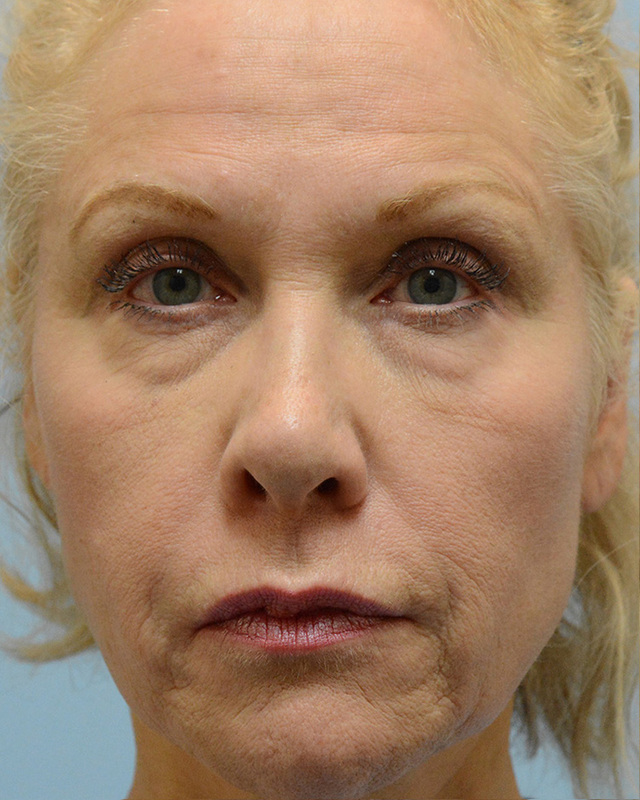 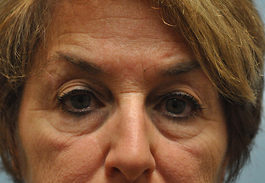 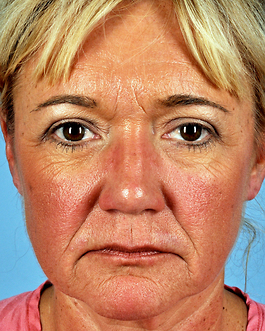 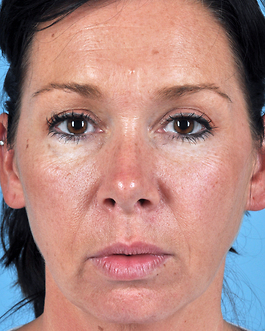 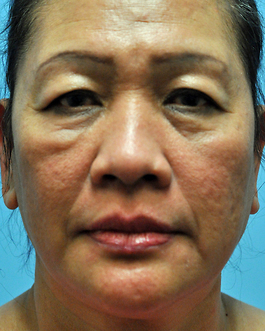 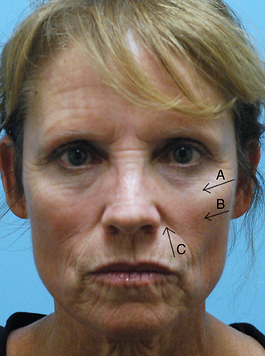 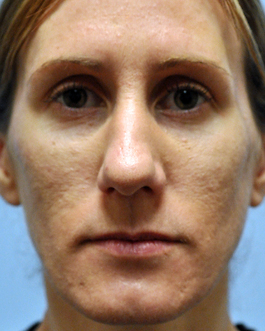 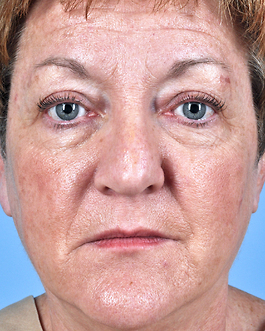 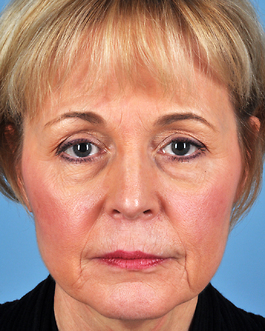 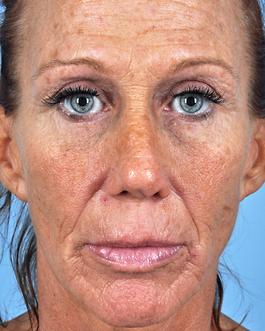 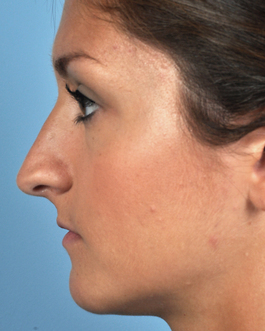 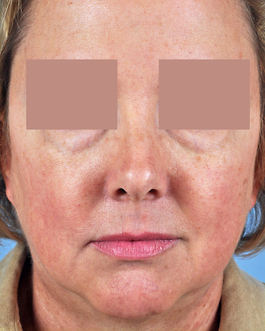 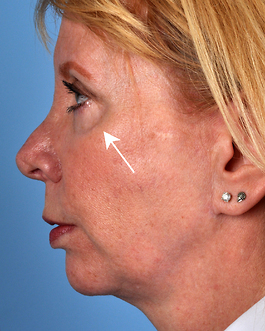 She continues to be extremely pleased with the more youthful, rested look that fat grafting has provided her.